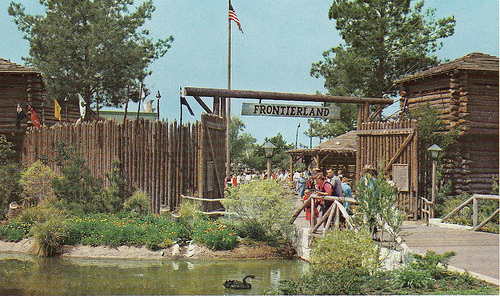 Although much of Frontierland is themed circa 1870, log forts are more typical of the 1700s, which the first guide book, The Story of Disneyland, proudly admits. Examples exist in Vermont and Northern Pennsylvania, particularly. Stands of straight-trunked trees were simply not available in large regions of the land west of the Mississippi settled in the latter 19th century. Forts in the southwest, such as the Alamo where Davy Crockett fought and died, were more typically made of adobe (clay mud). Encampments such as Fort Reno, Wyoming, were not enclosed. 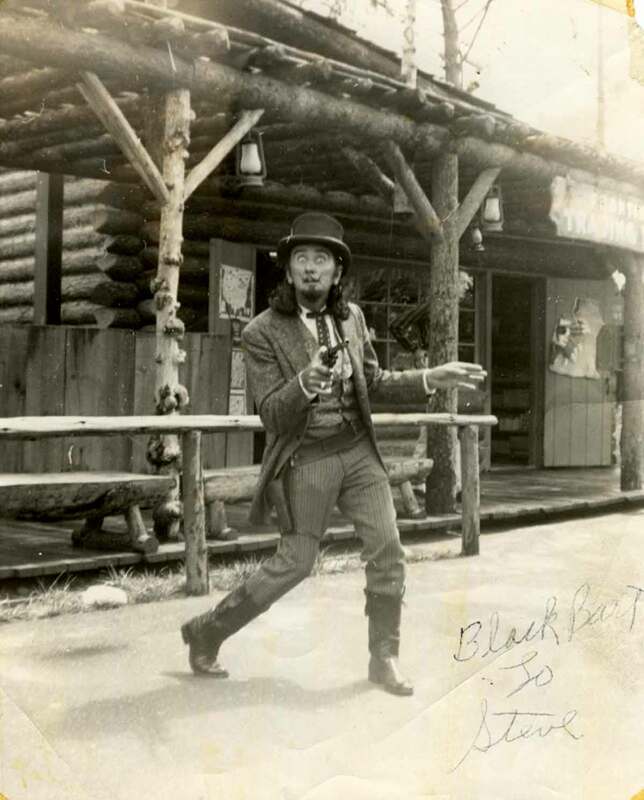 The hand-hewn Frontierland entrance most closely resembles the restored Fort Clatsop, near Astoria, Oregon, where Lewis and Clark spent the winter of 1805-06. 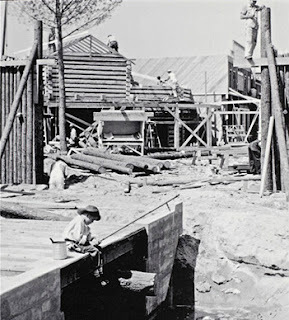 The design of a basic log building was well-known, thanks to the children's building set known as Lincoln Logs, invented in 1916 by Frank Lloyd Wright's son, John. Each log is notched to join other logs at right angles. 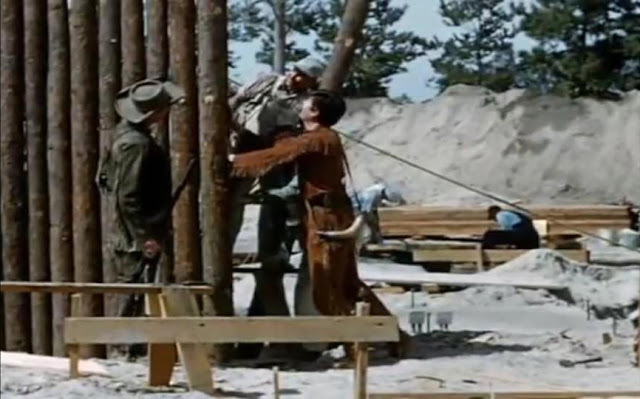 In addition to the stockade entrance, the crew installed a rustic trellis supported by a set of sixty burlwood posts that Walt Disney had bought personally in Jackson Hole, Wyoming. They fashioned a wooden flagpole, built peeled log railings, and made a set of split-log benches. In 1956, the same crew built Fort Wilderness on Tom Sawyer Island. Fess Parker and Buddy Ebsen, stars of the Davy Crockett series, "helped" build the stockade.